If you like resurrections, boy, does Disney+ have a project for you! 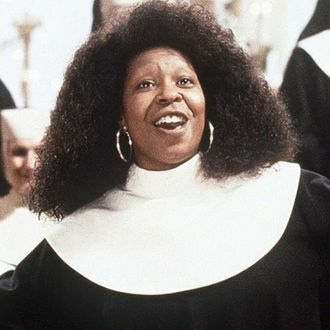 According to Entertainment Weekly, Disney’s upcoming streaming platform is reportedly developing a threequel to the nun-centric franchise Sister Act, 25 years after the exquisitely named Sister Act 2: Back in the Habit hit theaters. However, the devil is in the details and it looks like the Sister Act’s star is might not return, at least not as lead. “It is our understanding that this is not a continuation and Whoopi is not involved,” Goldberg’s representative told EW. So how do you solve a problem like no Whoopi? Well, obviously this reboot has Tiffany Haddish written all over it, but if she’s not available, hey, what show wouldn’t want the chance to discover the Whoopi Goldberg of Generation Z?